A sweet little casual shoot with me and the love of my life, (isn't he so freaking handsome? *insert heart eyes emoji here*) taken by an awesome friend of ours Mariel V Photography in the comforts of our own home. It was wonderful creating something beautiful and meaningful together with a few creative friends, and it gave us all an opportunity to practice our craft in a relaxed setting, hang out, and have A LOT of fun! Mariel V Photography is so fun to be around and Cherelle of Crea + Elle was so kind to put together a number of beautiful hand lettered pieces for us. The Tulipina Master Class in Los Angeles with the incredible Kiana Underwood was such a blast! 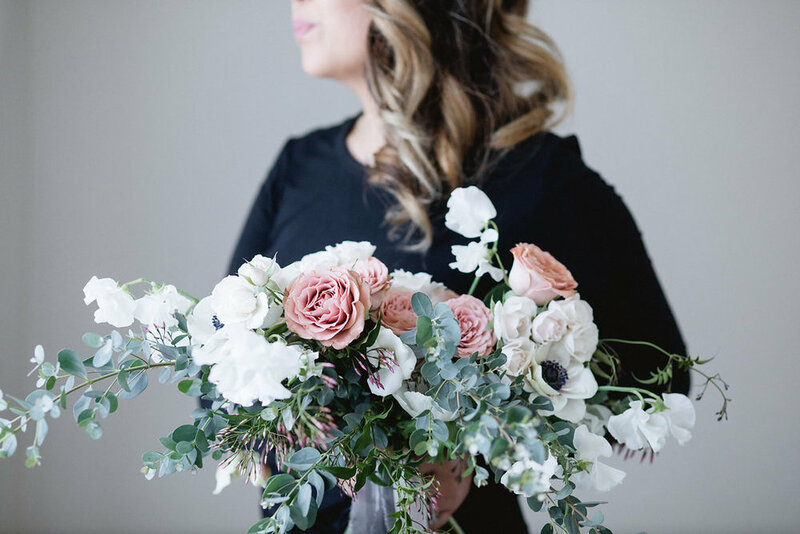 I had the best time learning another amazing floral designer's floral design process but also was able to have my work shot by the one and only Jose Villa! As incredible as it was to meet and learn from some of the best in the industry, undeniably, my favorite part of the workshop was making a bunch of new flower friends! 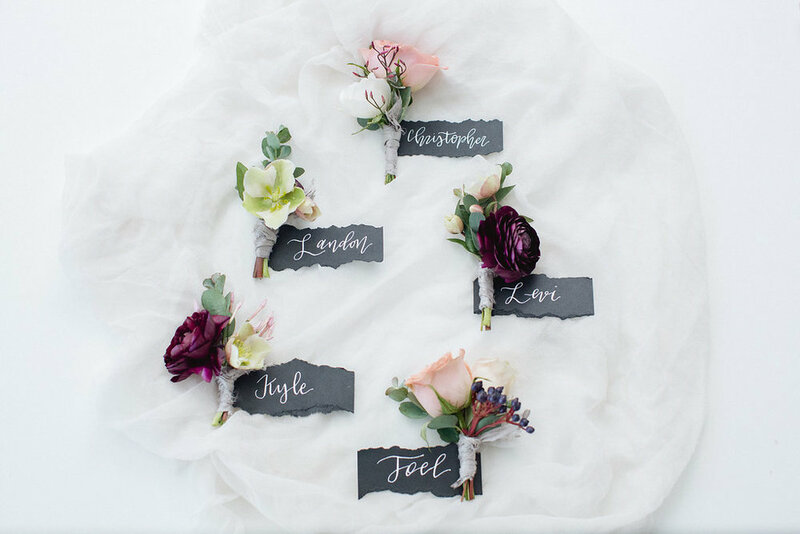 Quickly after I dived into floral design for the first time I had the great experience of having my very first clients! Kristina and George have the sweetest love, I couldn't have asked for a better couple to go through my journey with me. Since then, and throughout the experience I've learned so much and am so humbled they took me on for their personal flowers. Kristina and George, you guys are truly the best! Earlier this summer I had the priceless experience of spending a fun weekend with the awesome ladies of Studio Mondine. Not only was it my first time taking a floral design class and putting together some of my very first floral items, but I also had the opportunity to have my pieces shot by the lovely Taralynn Lawton for my portfolio. Seriously a weekend I will never forget and will hold close to my soul forever. I am forever thankful for these amazing ladies.